Doug Polk is well known in the world of poker. He is not only known for his skills at tables but for his confidence which many take for pride. He is not the richest professional poker player in the world but he is not doing badly either. Doug Polk net worth is definitely worth checking out. Do you want to know more about this young and talented professional poker player? Are you interested in knowing his exploits in the world of poker? Do you want to know what he has been up to? How has he fared in the world of poker? What is his current net worth? All these questions and many more will be answered in this article. Read on to find out more about this spectacular professional poker player. Born on the 16th of December, 1988, Douglas Polk is an American professional poker player who is popularly known as WCGRider. His area of specialization in the field of poker is heads-up No Limit Hold’em and he has done greatly for himself in this area. As a matter of fact, a huge part of Doug Polk net worth has been derived from these games. Apart from poker, he is also very much involved in the field of cryptocurrency and he is believed to be a co-owner of CoinCentral. He also has a YouTube channel where he regularly talks about cryptocurrency. He was born in California, Pasadena precisely. From early in life, specifically at five years old, Polk has developed a great love for the strategy that is involved in games. His father began teaching him the game of chess since his early childhood and from this stage, he started developing a flair for games. Later on, his family relocated to Raleigh, North Carolina from California. He graduated from the Wakefield High School in the year 2007 and at the age of 15, he has stated getting engaged in the competitive Warcraft 3 electronic sports. He became a player and competed at various World Cyber Games tournaments. During this period, he was playing under the name of T-Rider. He later left the Warcraft 3 games and moved to poker when he started attending college. Over the years, Doug Polk net worth has continued to grow to what it is today. The personal life of Doug Polk is not well-known in the industry. Interestingly, he seems to be a very private person. The only thing that is known about his private life is that he has an amazing and very beautiful girlfriend. The duo has been together for a while and has stuck together through both the good and bad times. It is apparent that Doug is very passionate about his girlfriend and the relationship is pretty serious. It seems the beautiful girlfriend is the soon to be Mrs. Doug Polk. Doug started attending the University of North Carolina Wilmington after his college but he dropped out along the way before graduating. After living the university, he started trying his hands in various things to make ends meet before deciding to pursue a full-time career in poker. With his background in the game of chess and Warcraft, he was able to pick up the tricks and strategy fast and before long, he has started playing with real money. He started his games at PokerStars with $0.01 and $0.02 stakes. As he progressed in his career as a professional poker player, he moved from the smallest stakes to bigger stakes. He has significantly improved in his skills that his current deposit at poker games increased from $20 to $10,000. His brilliance at poker game at this early stage has earned him a position with some of the best poker players in the industry. At this period of his professional poker career, Doug Polk portrayed himself as ‘breakeven rake professional’. One thing that is noticeable in the life of this young poker player is his knack for praising himself. If there are many things that Doug is short of, self esteem is definitely not one of them. 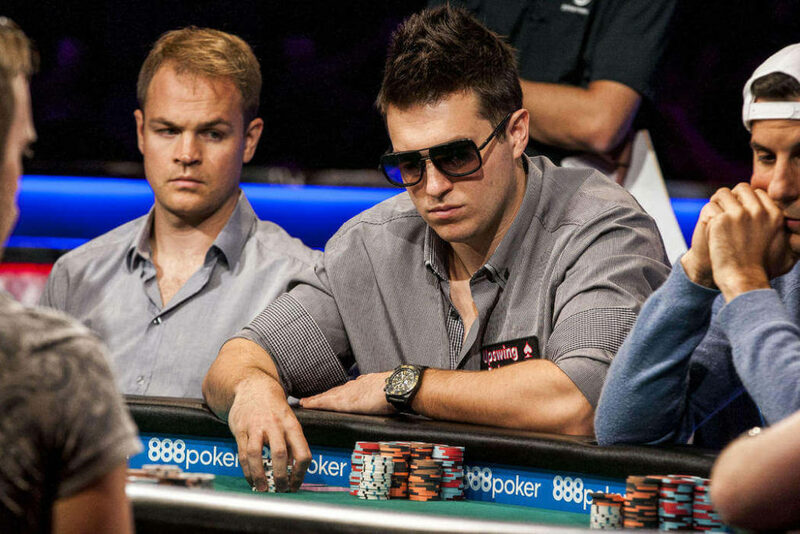 He started playing for higher stakes and from here henceforth, Doug Polk net worth began to increase. In the year 2011, he almost got into the broke mode but he picked himself up and geared up to remain focused on poker games. By the end of 2013, he has built a reputation for himself at the online poker platform. As a matter of fact, he was regarded as one of the best players at the online cash game heads-up No Limit Hold’ Em. At a point, he played with another professional poker colleague known as Ben ‘Sause123’ Sulsky during a highly publicised poker game of 15,000 hands. At the end of the day, Doug Polk walked away with a winning prize of a huge amount of $740,000. He also got an additional $100,000 as bonus for winning the game. Doug Polk net worth at this stage has become steady, with various wins coming into his account. It is essential to note that he has done more exploits in the poker field through the online platform than in live tournaments. Doug is not one of the quite professional players. He is very vocal and says what he thinks, whether his thoughts are right or not, that is not a big deal for him. As long as he can get it off his chest, he is fine about it. He does not only talk about himself but also about other poker players. For instance, he was very outspoken about the challenge of Daniel Negreanu. He was vocal about Daniel’s comment of winning at the game of $25/$50 stakes with just two weeks of practice. Doug criticized Daniel Negreanu for underrating his opponents. In the middle of 2015, he launched his poker training site which he called Upswing Poker. He started the site with Ryan Fee, a fellow professional poker player and his long time friend. In the year 2016, he also started hosting a YouTube channel he called Doug Polk Poker. He regularly posts on this channel and over the years, the channel has garnered quite a number of subscribers. Currently, he is regarded as one of the popular poker starts online. In the year 2015, he was chosen to play heads-up No Limit Hold’ Em with A.I poker bot Claudico. This game brought in many professional poker players including Dong Kim, Bjorn Li, and Jason Les. Each of the players involved in this game was brought to the scene to play 20,000 hands against bot Claudico with a total team of 80,000 hands. At the end of the game, the human poker players ended up winning Claudico for a total of 732,713 chips. Doug Polk beat the bot at a total of 213,000 hands. The team was given the sum of $100,000 for winning at the game. Known for its outspoken nature, Polk has been involved in various word exchanges with fellow professional poker players in the industry. For instance, he got into an argument with another poker player, Ben Tollerene, over one coaching deal. As at the September of 2017, Doug Polk net worth has exceeded $9,400,000 in total live tournament earnings. Although, he was very popular for his online exploits in poker games, Doug also participated in a couple of World Series of Poker events. These events have greatly impacted on Doug Polk net worth. In the year 2014, he made his first winning at the World Series of Poker. He participated in the $1,000 Turbo No Limit Hold’ Em event and at the end of the game, he earned a total of $153,358. He also entered for the 2016 World Series of Poker where he played in the $1,000 Tag Team No Limit Hold’Em. He played with Ryan Fee and he won a total of $153,368 at the end of the game. Polk made his biggest winning at the World Series of Poker in 2017 when he played at the $111,111 High Roller for One Drop No Limit Hod’Em event. He won a total of $3,686,865 at the end of the game. His last earning in 2017 has significantly contributed to Doug Polk net worth to a large extent. Popular for his ability to stand out in high stakes online poker, Doug has continued to make waves at the online platform. It does not matter whether it is tournaments or cash games, Polk always has one or two tricks up his sleeves that usually work in his favour. He started making a name for himself in the world of online poker when he crushed heads-up online by playing at some of the highest stakes in the history of online poker game. He was so good at what he does that sometimes; it was difficult for him to find poker opponents at the online table. His style of game is very aggressive and most often, he is totally unpredictable in his games and hands. However, his games are always profitable for him. Although cash games were the high points for this young poker professional, he is also very well known for his exploits in various tournament, most especially his Twitch stream. Over the years, he has outdone himself over and over again, pushing the limit and becoming better at his best game. 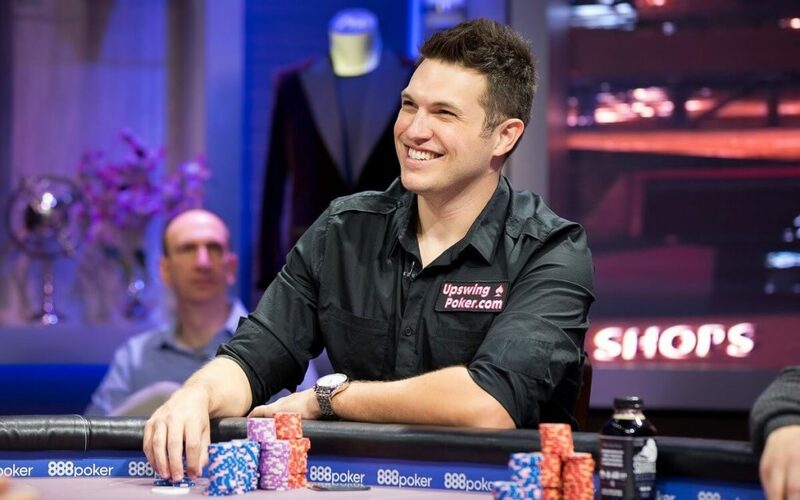 Doug Polk net worth in the poker industry is built on his various cash games and tournaments. He has severally broken the records for the biggest cash in the course of multiple streaming. In the year 2016, he became the winner of a SCOOP event which earned him a total of $115,000 at the end of the day. Towards the end of the year 2016, he also participated in another $10,000 WCOOP event where he came second. He left the event with a winning of $455,000 which was a record breaker at this point. In the year 2017, he also went for another tournament where he earned a total of $271,000. All these tournament events were streamed live with Polk cards very exposed to the glaring eyes of the viewers. It is important to mention that the act of revealing your hole cards at a game make the game tougher than it already is. It also indicates that you are also playing the best of the best in the world of poker. During his games, Polk usually stream with delay but his poker opponents can easily know his style of playing through the process of watching the game after the fact. In spite of this shortcoming, he has still been able to win some of the biggest poker tournament online. Doug Polk is undoubtedly the apparent heir to the famous Heads-Up No-Limit Hold’ Em throne. He has attained fame in this aspect of poker game that his name is synonymous to Heads-Up No Limit Hold’ Em. It is therefore not a surprise to know that Doug Polk net worth reveals all his amazing exploits at these games. Sometimes ago, he made a list where he rated the top ten best Heads-Up No Limit Hold’ Em players all over the world. Of course, he ranked himself as number one on the list and many professional poker players and even fans cannot fault his rating. He is indeed a force to be reckoned with in the field of HUNL games. When Doug ran a mini-durrrr challenge against another professional poker player, Ben, ‘Sauce1234’ Sulsky, he won handsomely, which further strengthens his claim to the throne of the Heads-Up No Limit Hold’ Emarena. Of course, he has been defeated even at his best game. For example, in spite of his skills and experience at the game of Heads-Up No Limit Hold’ Em, Isildur1, who Polk did not rank in his top ten players, has won him on a number of occasions which actually implies that he would have to re-work his list. Doug tournament data is not readily available to most tracking websites. However, the fact is that he has earned millions of dollars from just tournaments alone. Not too long ago, Doug Polk uploaded the graph of his heads-up games on his Instagram page and the graph shows that he has been involved in more than 300,000 hands of his favourite Heads-up No Limit Hold’ Em games. He also mentioned on one Reddit thread that even though he doesn’t play so much poker again, it is still imperative that he publish the graph. One thing that has remained in the mind of many of his fans is that it is not as if Polk is not willing to play again, it just seems nobody wants to play with him, probably because of his aggressive style of playing at the poker table. From the available data that could be deduced from the graph he posted on his Instagram page, it is clear that he has made about $3.5 million earnings in the format of the game he posted. An interesting point on the data is the amount of money he has won over time without his hand moving towards showdown. This highlights the aggressive nature of his game style. No doubt, this aggression is the major thing that makes Doug one of the top and most feared professional poker players in the game of Heads-Up No Limit Hold’Em. While his online poker games have been a huge success, he has also done fairly well in live poker games. He had won World Series of Poker bracelets prior to the beginning of the WSOP of 2017. He won his biggest buy-in tournament event at the $111,111 One Drop WSOP 2017 bracelet event. At the end of the event, he won a total of $3.7 million in addition to a gorgeous bracelet that many other players can only dream of winning. In total, he has won three bracelets, 11 money finishes, and five tables during the World Series of Poker, all of which has contributed to Doug Polk net worth in the industry. Apart from his gaming activities at tournaments and tables, Doug also engages in some other activities that relate to poker games. He hosts a YouTube channel where he trains other upcoming poker players. His YouTube channel currently has more than 120,000 subscribers and he is regarded as number one poker entertainer on the platform. His followership base is rapidly growing and he is constantly churning out contents that keep his fan entertained. There is also Upswing Poker, a poker training site, which he runs with his poker friend. Taking a cursory look at his social media handle also shows that he is active on the different social media platforms where he has accounts. Having played at several online poker games and some live tournaments, Doug Polk has amassed a tidy sum of net worth for himself. No doubt, he is one of the famous professional poker players in America. He is a young man of 29 and has become popular through his various exploits at poker tables. He has been reported as one of the richest professional poker players in the world and he has continued to grow his bank account since he started fully in the industry. So what is Polk’s current net worth? Doug Polk net worth is estimated to be about $10 million dollars as at 2018. No doubt, this figure is still on the rise because he has not signed out of the poker world yet, even though he has been hinting at his exit. His earnings have been from his various online and live poker tournaments as well as his various business ventures. As highlighted earlier, apart from poker, Doug is also involved in crypto and he is growing his wealth from this business also. It is believed that his net worth will probably double before he leaves the world of poker. In 2018 alone, his earning has been estimated to be about $940,000. Is Doug Polk really broke? This is the question on the mouth of many of Doug’s fan and critics. Of course, there have always been gossips about the financial status of poker players per time, especially because of the nature of their business. A poker player can win millions of dollars today and lose it within the next twenty four hours; that is the lifestyle of poker players in the industry. It is therefore not strange to see comments about the financial ability of the young poker player. Well, based on the various financial streams that Doug Polk has currently, it will be nearly impossible for him to go broke. As a matter of fact, it can be categorically said that he is making a lot of profits from his numerous businesses. For him to go broke any time soon, he would require to go on a very huge downswing in his games and businesses. Now, if you consider Doug Polk net worth, it is obvious that he cannot go broke anytime soon. Using his Upswing Poker site, Doug started a challenge with the goal to turn his $100 to $10,000. The challenge took a period of two years and after 58 long sessions, the challenge was finally completed. The Upswing Poker website has the details of the many sessions of the poker challenge. Poker players who got involved in this challenge include FedorHolz, James Obst, Vanessa Selbst, and Doyle Brunson. Worthy of note is the fact that the list of participants of this challenge is not the most far-reaching list of top professional poker players in the industry. However, the players still hold their own in the field of poker. Doug Polk started the challenge two years ago with the intention of driving traffic to his Twitch stream. At the commencement of the challenge, he deposited $100 on WSOP.com and began playing $1 Heads-Up Sit ‘n’ Go. By the end of the first day, he finished with $17 down. As time went by, he started hinting on minimizing his poker game to the barest minimum but since he started a challenge, he could not walk out in the middle of the challenge. Finally, after two years of grinding at the table, the challenge is finally over but the question in the mind of all poker lovers is whether this would actually be the end of Polk in the poker world. At the conclusion of the challenge, he informed his tribe that they will be seeing less of him at poker tables in the near future. However, he promised to transfer his experience into a component on the Upswing Poker site. According to him, he undoubtedly loves poker but the game is becoming boring for him now. He went further to say that he has only one life to live and he has the opportunity to live it once. Therefore, he is not planning to spend his life doing things that no longer make him happy. He believes he has done everything he needed to do in poker and it is time to move on. Doug Polk purported exit game from the poker scene is very similar to the game of Chris Ferguson some years back. Back in the year 2006, Ferguson embarked on an 18 months challenge where he planned to turn $0 into $10,000 at the Full Tilt Poker buzz. Although Polk has made the announcement about his exit, many people within the poker community are not very sure of how far he is willing to take his exit. Many are of the opinion that he will probably be another Charlie Carrel. Carrel, who left the poker scene not too long ago, has just recently announced his comeback to the industry. According to him, his return to the scene is to help upcoming poker players realize that the dream is still very much alive. As a comeback show, he plans to turn his $50 into $10,000 in his new challenge. No one is very sure about the next step that Doug Polk is about to take. However, one thing is sure; if he exits the poker scene anytime soon, his fans and many of his critics will miss him. Doug Polk is undoubtedly a strong poker player in the industry. Over the years, he has been able to develop himself, even though he has no formal training in the game. Relying on his knowledge of game strategies during his days of playing Warcraft and game of chess, he has been able to build his skills and experience to the point of becoming one of the famous professional poker players in the world. Doug Polk net worth is indeed a testament to how he has fared in the industry.